FILM "HORSES OF THE EMIR"
According to the assumptions of its producer and director the film is to be broadcast by Polish and foreign TV, as well as to be presented at various film festivals arround the world. „In the desert I feel that I am in my own country …”. 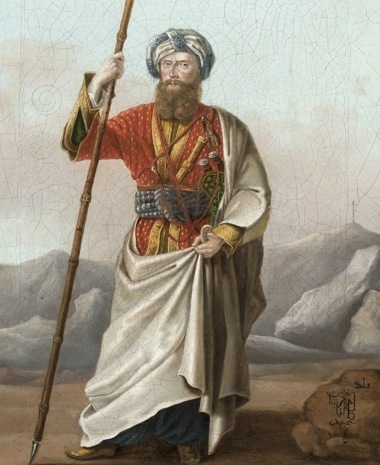 This is how the Polish Emir, Count Wacław Rzewuski, recalled his visit to the desert during the years 1818-1820. "Portrait of Wacław Rzewuski, known as the Emir "
Copy of the painting from the National Museum in Warsaw, Poland. Italians call such a location a „villa castello” or „palazzo in fortezza”. These terms reflect precisely the nature of the Podhorce architectural complex. The castle was built during the years 1635-1640. The construction was initiated by one of the greatest Polish magnates of the time, Stanisław Koniecpolski. However, the palace remained in the hands of the heirs of the victor from Trzciana and Ochmatów only until 1682, when it was sold to the Sobieski family, who in turn gave it over to the Great Crown Hetman (Marshall) Stanisław Mateusz Rzewuski. The Rzewuski family owned the palace until the partitions at the end of the 18th century, when the entire region fell in the hands of the Austro-Hungarian Empire. All rights to the materials contained on this site are reserved.